I believe in open source softwares and open web for all therefore I joined Mozilla mission. Farooq Saleemi is an active Firefox Student Ambassador at BNU Mozillians - a Firefox club at Beaconhouse National University, Lahore, Pakistan. Currently, he serves as the club lead there and having a passion for photography, he also covers the local Firefox events (https://www.flickr.com/photos/imsaleemi). Farooq has also been involved in the Urdu localization of Mozilla products (http://mozilla.locamotion.org/accounts/faro). 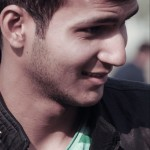 Farooq Saleemi is the lead of the Firefox Club at Beaconhouse National University (https://wiki.mozilla.org/BNU_Mozillians). He is involved in localization efforts (http://mozilla.locamotion.org/accounts/faro). He has been involved in the organization of Mozilla Pakistan events as well, and has covered them as a photographer (https://www.flickr.com/photos/imsaleemi).